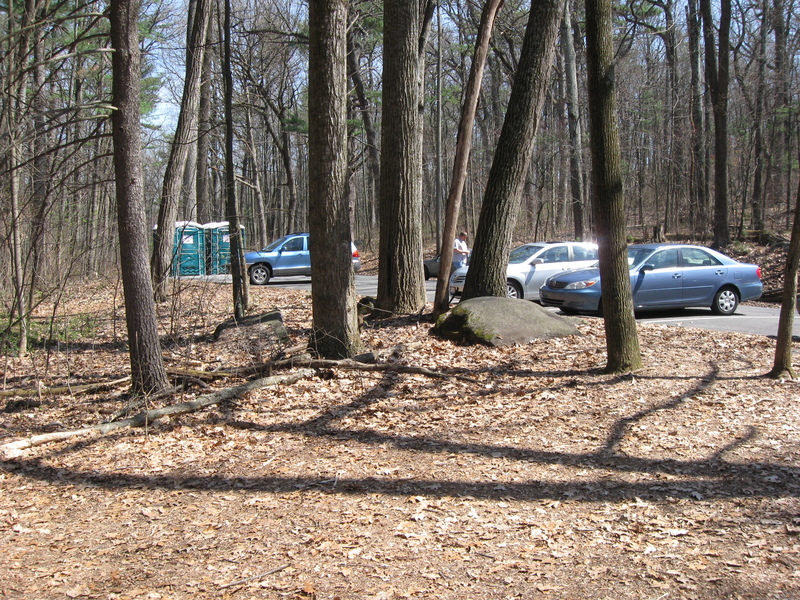 In order to replace the facilities that will be lost by the removal of the Devils Den restroom, the National Park Service placed two Port O Potties in the 20th Maine parking area. 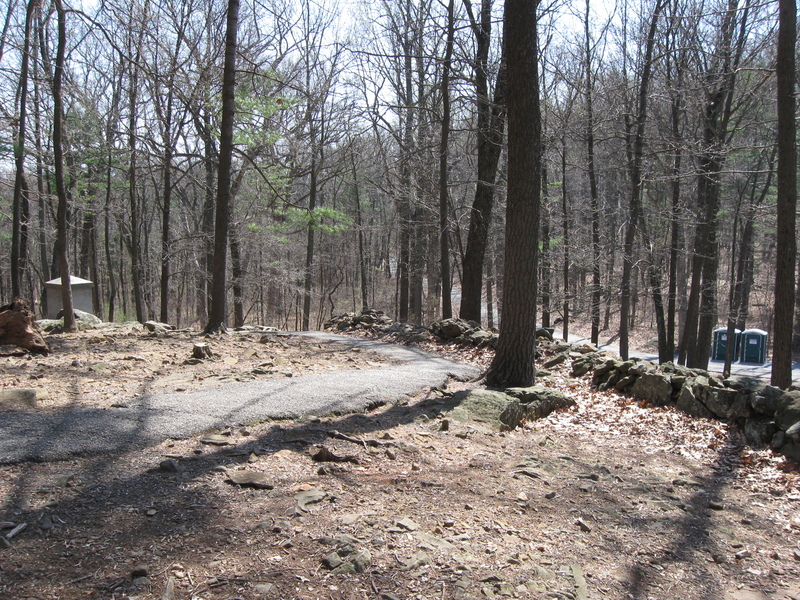 The area where the 20th Maine launched a bayonet charge against Alabama soldiers on the evening of July 2, 1863. This view was taken facing south at approximately 2:00 PM on Friday, April 2, 2010. 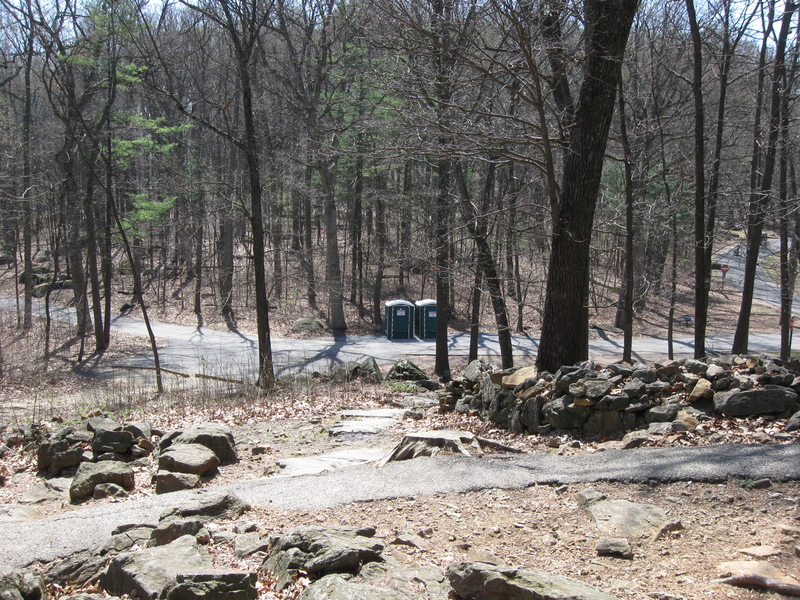 We were amused last week that more than a couple of viewers bought into our April Fools post about the relocation of the Devils Den restroom. After all, who would believe that the National Park Service, in an attempt to restore the battlefield closer to its 1863 appearance would want to relocate it to other historic areas where it would be visually intrusive? Well the joke is on us. 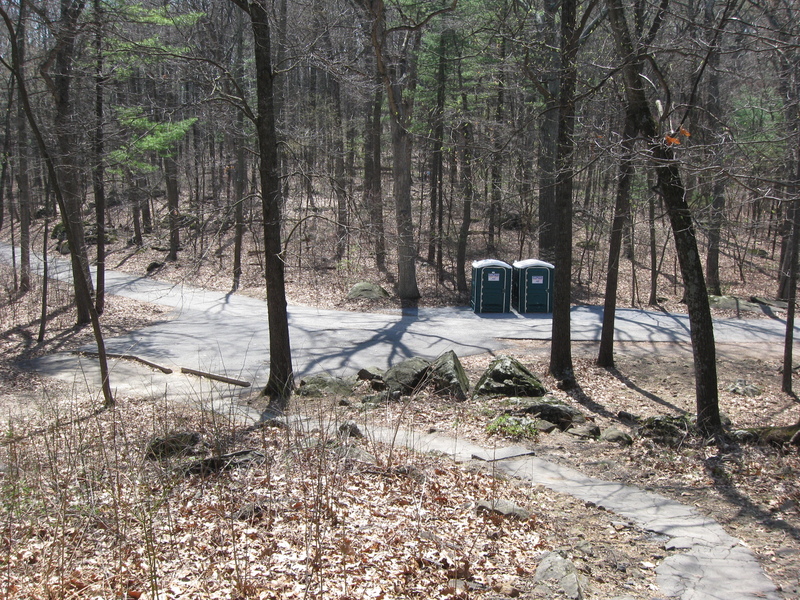 Last week, in an attempt to replace the facilities that will be lost by the removal of the Devil’s Den Restroom (it hasn’t been removed yet), the National Park Service placed two large Port O Potties at the parking area for the 20th Maine Infantry Regiment. 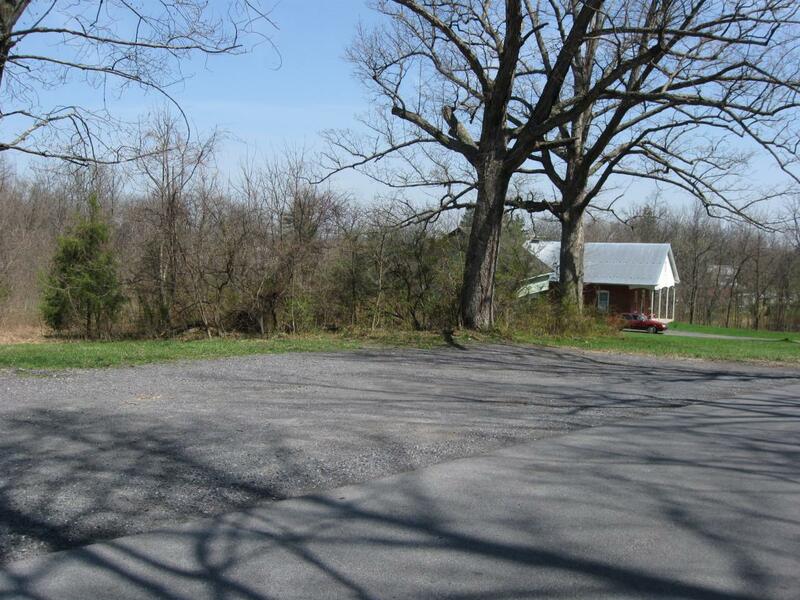 This could be considered one of the most visited areas that memorialize fighting at a regimental level in Gettysburg National Military Park, if not in the world. 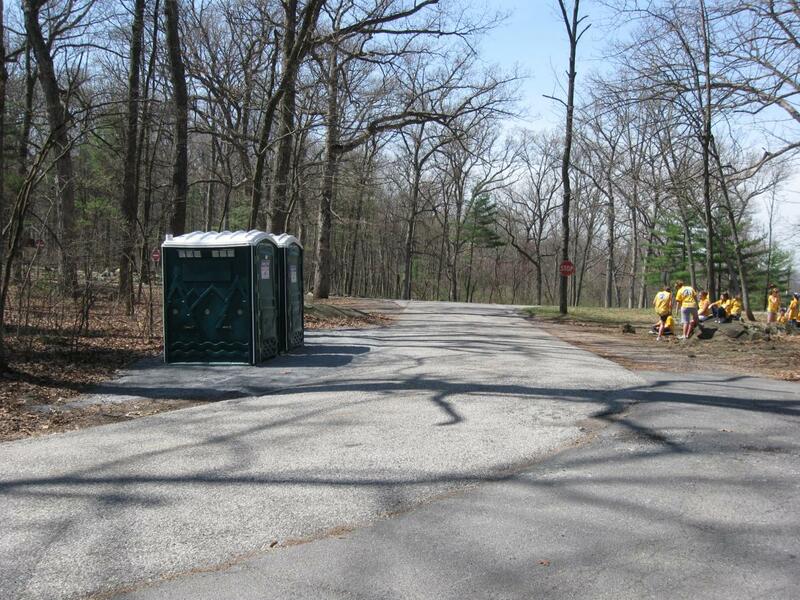 We get that visitors often need to use the restroom while they’re out on the field, and especially at a highly visited site like Little Round Top. However, we feel there are other more suitable (and certainly more respectful) locations that could have been considered. 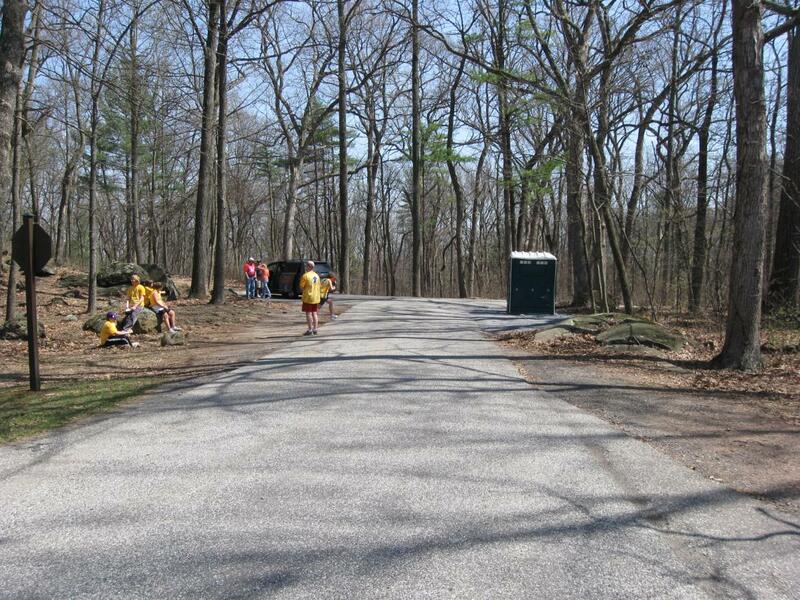 Although preparations have been made to remove the Devil’s Den Restroom, it has not yet been removed. They have decided to remove it from the Slaughter Pen area as part of the process of restoring the battlefield closer to its 1863 appearance. So why remove this building for historical accuracy… This view was taken facing northeast at approximately 2:00 PM on Friday, April 2, 2010. 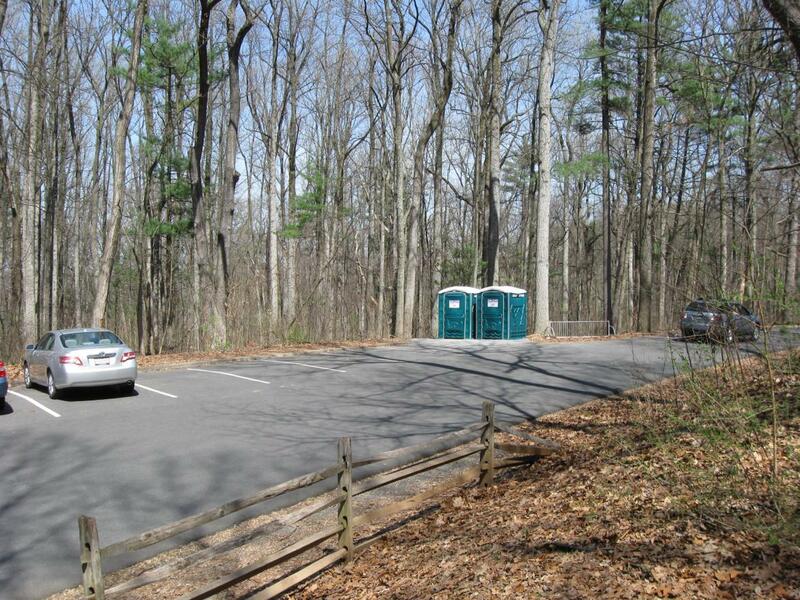 … and put the Port O Potties here? 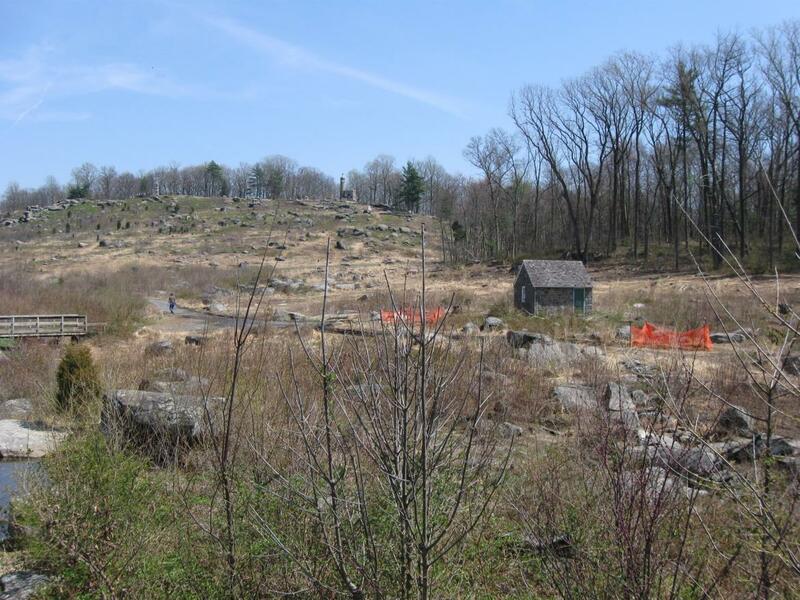 The story of what happened on this south side of Little Round Top on July 2, 1863 is arguably more familiar to “average” visitors than what happened in the Slaughter Pen. This view was taken facing northeast at approximately 2:00 PM on Friday, April 2, 2010. 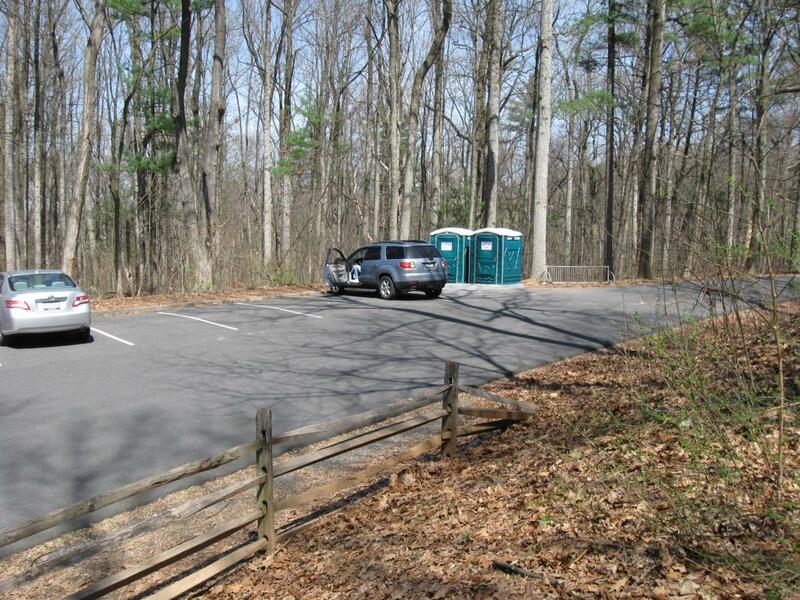 The removal of the Devils Den Restroom has led to the National Park Service searching for other locations to provide comfort facilities. So now when you drive up Big Round Top…This view was taken facing northeast at approximately 2:00 PM on Friday, April 2, 2010. And go to the Big Round Top Parking Lot… This view was taken facing northeast at approximately 2:00 PM on Friday, April 2, 2010. Two Port O Potties are located here. This view was taken facing north at approximately 2:00 PM on Friday, April 2, 2010. 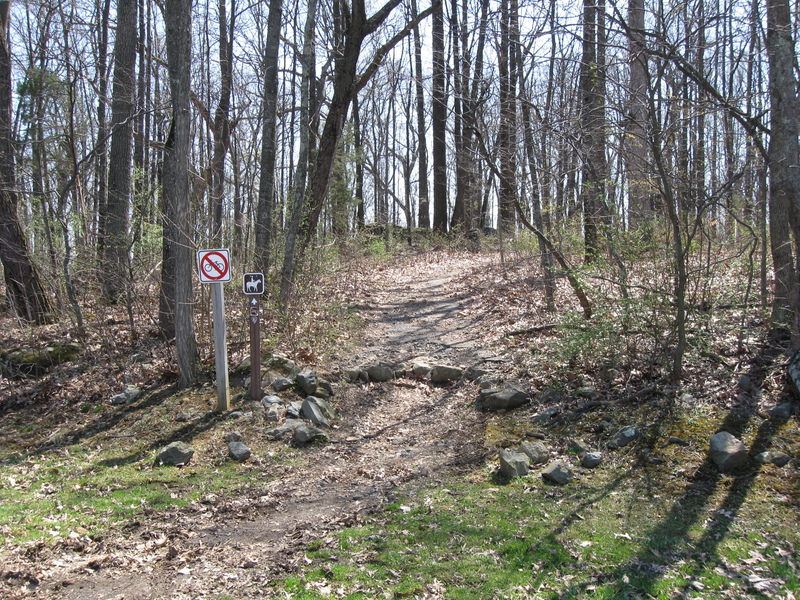 They were located at the end of the trail coming up from the Devils Den area. This view was taken facing southeast at approximately 2:00 PM on Friday, April 2, 2010. 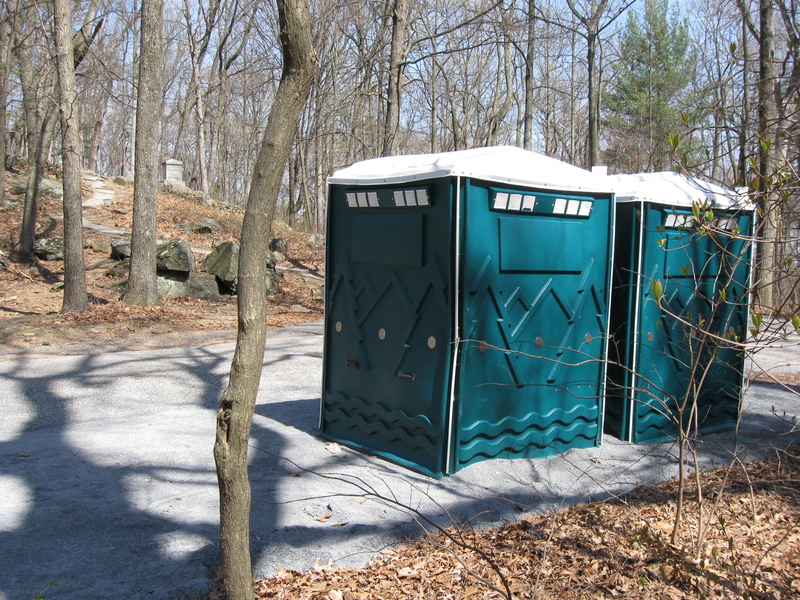 While we might want them hidden in the woods, we understand that vehicles that service the Port O Potties need to have access to them. This view was taken facing north at approximately 2:00 PM on Friday, April 2, 2010. As you go approximately two hundred yards farther along South Confederate Avenue, down Little Round Top, the Joshua Chamberlain Memorial Restrooms come into view. The Port O Potties are to the right of all the youngsters in yellow shirts who are… This view was taken facing northeast at approximately 2:00 PM on Friday, April 2, 2010. …waiting to use the restrooms. This is not a joke. This is not a “photoshopped” picture. This has really happened. This view was taken facing southeast at approximately 2:00 PM on Friday, April 2, 2010. 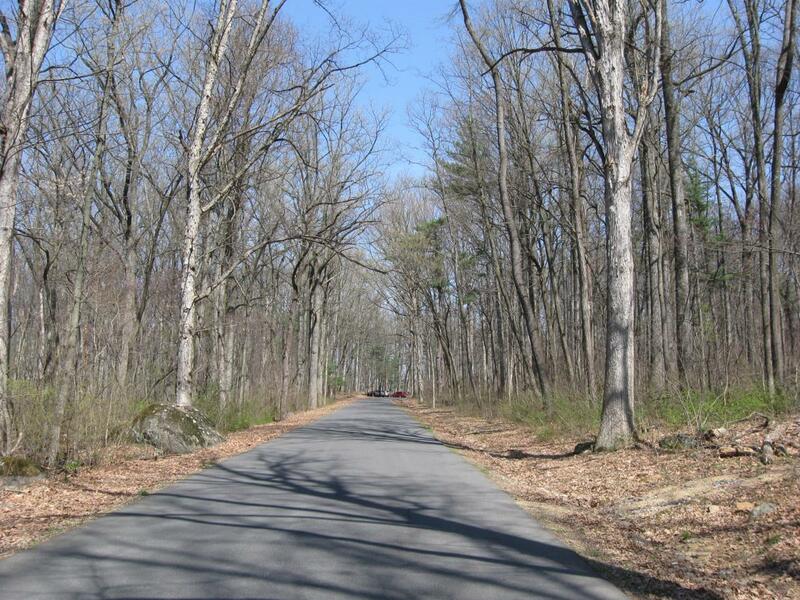 The National Park Service felt that too many people drive to Little Round Top along Crawford Avenue (in Plum Run Valley/Valley of Death) and would miss the Big Round Top Restrooms. So they wanted to make sure they were placed at an area where they could be visible to those driving up from the Devils Den area. Good job. This view was taken facing northwest at approximately 2:00 PM on Friday, April 2, 2010. No matter how you feel about how important the contributions of the 20th Maine Infantry were to the Battle of Gettysburg on July 2, 1863, is this really the only spot for these? 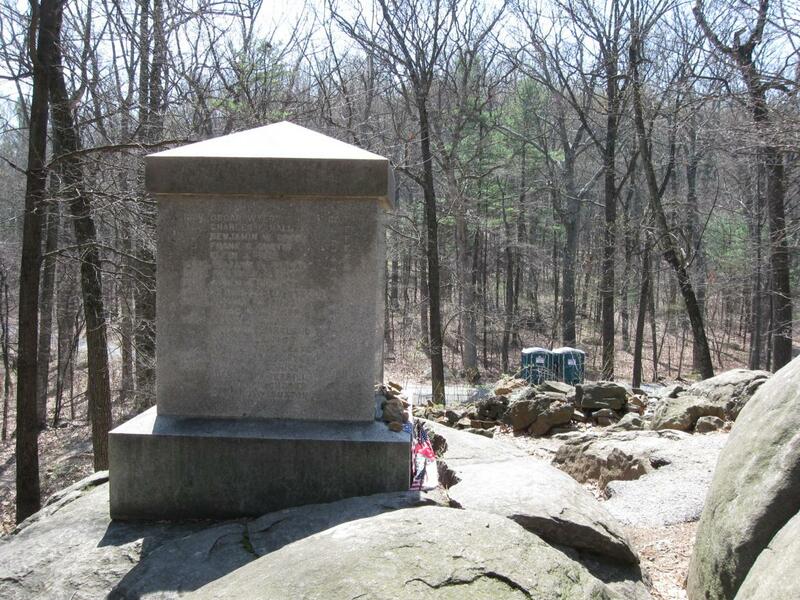 The monument to the 20th Maine Infantry is on the left. One of the areas where their bayonet charge occurred was toward the Port O Potties. This view was taken facing northwest at approximately 2:00 PM on Friday, April 2, 2010. 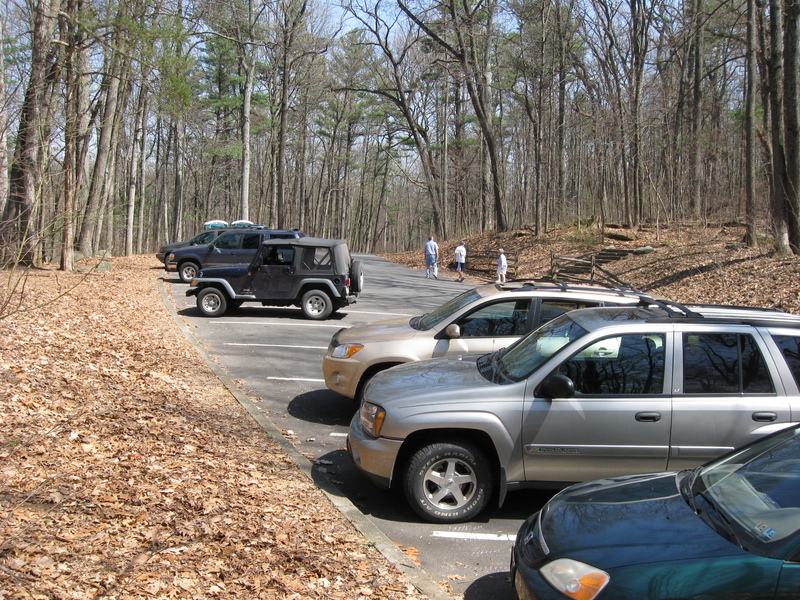 During busy days, and due to the popularity of the 20th Maine site, parking is at a premium in this area. There are three parking spaces on the left (if vehicles are properly parked) and there was another one where the Port O Potties are now located. This view was taken facing south at approximately 2:00 PM on Friday, April 2, 2010. Again, no matter how big of a deal you think this is, certainly there are better locations. This view was taken facing north at approximately 2:00 PM on Friday, April 2, 2010. 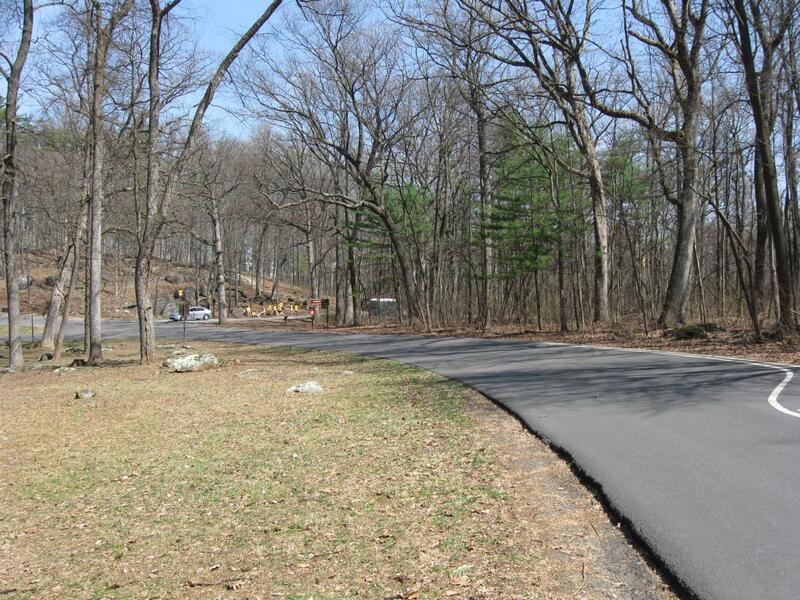 As has already been suggested by some to the National Park Service, how about the “other” side of Little Round Top at the intersection with the Wheatfield Road? This view was taken facing northeast at approximately 2:00 PM on Friday, April 2, 2010. 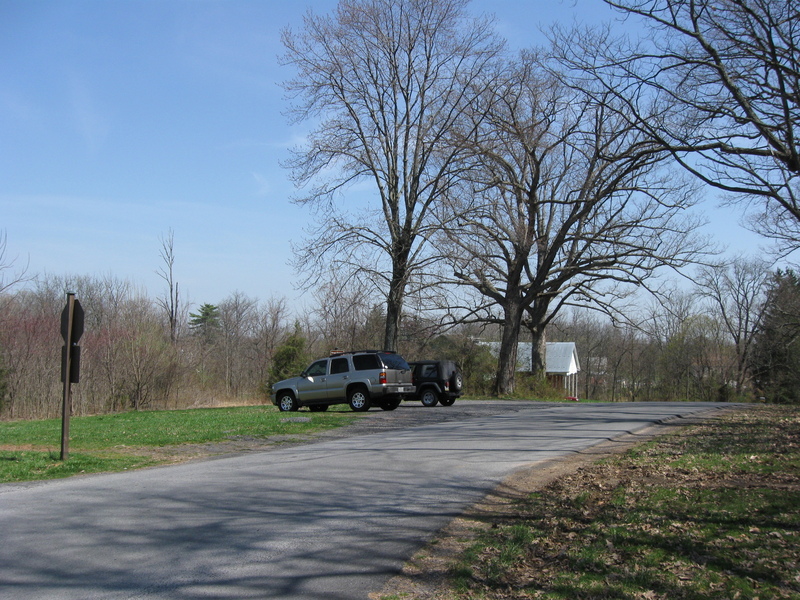 While we personally would like to see the Port O Potties located up the horse trail here, the service vehicles for the Port O Potties couldn’t access it, so… This view was taken facing southeast at approximately 2:00 PM on Friday, April 2, 2010. … a new location by the big tree at the parking lot of what used to be the trolley bed seems a much better solution than the 20th Maine’s position. This view was taken facing northeast at approximately 2:00 PM on Friday, April 2, 2010. If the National Park Service is searching for other highly visited areas at which to locate Port O Potties, we can help them out. 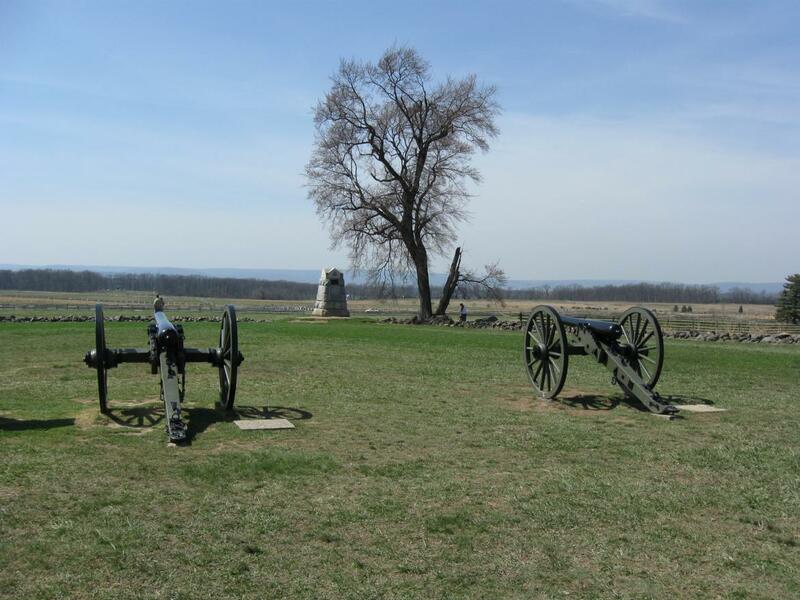 How about the Angle in the Pickett’s Charge area? Here is a perfect location to combine well known historical events in a highly visible area where people at the end of their battlefield tours have a need to use the facilities. This view was taken facing northwest at approximately 2:00 PM on Friday, April 2, 2010.